Sebastjan Cagran is a lecturer at the National School for Leadership in Education (NSLE). The NSLE provides training and professional development of head teachers and candidates in Slovenia. His education and training activities at the NSLE are related to educational management and legislation. He runs a programme for head teachers (PR), which provides support in the field of educational legislation and management and delivers consultancy and training courses for head teachers at the national level. Currently he runs activities in a national project “Leading and managing innovative learning environments”. The main purpose of the project is to design a model of comprehensive support for head teachers in pedagogical leadership and management. Within this project he is in charge of the consultancy programme for head teachers. He is a member of the Enabling education and research with ICT network (SIRikt). As a board member of the international SIRikt conference he co-organized the 2016 international conference. Sebastjan is a doctoral candidate at the International School for Social and Bussiness Studies in Celje. He holds a Master’s degree in media law from University of Münster. Prior to beginning a career in education, he worked in the legal profession. His current dissertation research covers educational management and knowledge management of school leaders. His main research interest is leadership development in education. 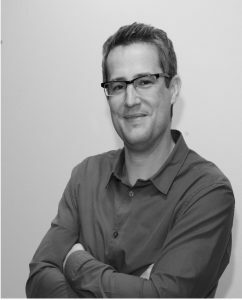 Roman Dorczak is an adjunct professor at the Department of Educational Management, Institute of Public Affairs, Jagiellonian University in Cracow. Currently he is Deputy Head of the Institute of Public Affairs for didactics. Since 2008 he has run the Postgraduate Course in Educational Management as its director. 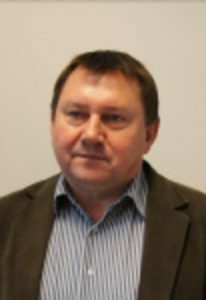 He cooperates with the biggest Association of School Heads in Poland (OSKKO), as co-organiser of its yearly conferences for school heads and he is also a coordinator of a project run jointly by Jagiellonian University and the Polish Ministry of Education called “Leadership and management in education – design and implementation of a new model of headteacher’s training”. This project is redefining the preparation, induction and continuing professional development of school leaders in Poland. Since 2014 he is the Editor-in-chief of an international journal – Contemporary Educational Leadership. His research interests cover educational leadership, management and school organizational culture. 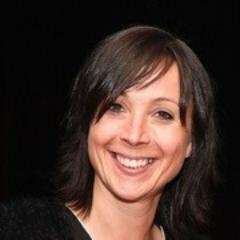 Kristin Vanlommel is the Chairperson of the Board for 2017-18 and her team will organise the 2018 annual conference in Antwerp. She is a PhD-student and teaching assistant at the Faculty of Social Sciences, Department of Educational Sciences at the University of Antwerp in Belgium. She has a Bachelor in Teaching and holds a Master’s degree in Instructional and Educational Sciences. She is a member of the International Scientific Committee of JURE, the network of Junior Researchers of EARLI, organizing the JURE-conference in July 2016 in Finland. She is a partner in an international consortium on developing leadership capacity for data-based school improvement (www.deleca.org) and she delivers training courses for head teachers in Belgium. Her teaching activities at the University of Antwerp are related to educational policy and change management. The main research domains of interest are data-use and decision-making. 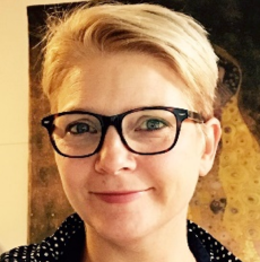 Kjersti Lien Holte works as an associate professor at Østfold University College, at the Faculty of Health and Welfare in Fredrikstad in Norway. She is coordinating masters degree study of integrated care. Her teaching activities are organization and leadership of work in the local region for health promotion. Formerly, for eight years, she lectured on a master degree programme study of organization and leadership and, for six years, in teacher education. She has a doctorate from the University of Karlstad in Sweden in 2009, in the field of working life science. Kjersti has participated in the ENIRDELM network since 2010 and has been an active contributor to paper sessions and workshops. Her main research interest is in leadership and development of schools as arenas for promoting wellbeing. She has done research on the role and management of homework in schools and on the communication of risk in ethical educational leadership. She has also written a book about occupational health. Her hobbies include hunting, gardening and photography. Milan Pol works at the Faculty of Arts, Masaryk University, as Professor of Education and, since 2014, Dean of Faculty. His professional interests are divided between school leadership/management and educational evaluation, recently focusing more intensely on evaluation in higher education settings. Among other subjects, he has been involved in research in school culture, school administration, organizational learning in schools and life/professional careers of school leaders. 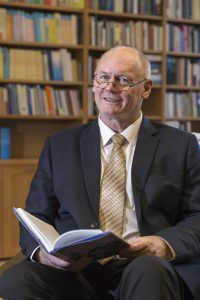 He is author and co-author of a variety of home and foreign publications and has been editor-in-chief of the journal Studia paedagogica since 2009.